See details Rolls-Royce SOFTECH Indoor Bespoke Cover - Fully Fitted, made to order. See details Rolls Royce ADVAN-TEX Waterproof & Breathable Outdoor Bespoke Car Cover - Fully Fitted, made to order. See details Rolls Royce CIELO Waterproof & Breathable Outdoor Bespoke Car Cover - Fully Fitted, made to order. 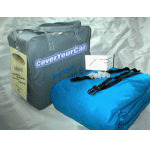 These Sahara covers are suitable for in garage use. They are breathable, 100% ultraviolet resistant, protect from sunlight, dust, dirt, annoying little scratches and keep prying eyes from seeing your pride and joy!